I DRAW INSPIRATION FROM THE TALENT OF ITALIAN ARTISTS. IN THEM, I HAVE ALWAYS FELT AN IMMENSE EVOCATIVE FORCE, ALL DIRECTED TOWARDS THE CREATION OF BEAUTY. THIS IS EVERYTHING THAT DEEPLY CHARACTERIZES OUR COUNTRY, ITALY. OUR HISTORY HAS THOUGHT US THE MOST ADVANCED TECHNIQUES FOR THE CREATION OF EXTRAORDINARY FURS, TO DEFINE THE IMAGE OF A MODERN AND CONSCIOUS WOMAN. THE SAME WOMAN WHO INSPIRED THOSE ARTISTS WHO HAVE MADE ITALIAN CREATIVITY, FAMOUS AND IMMORTAL. OUR RESEARCH, CONSTANT AND ATTENTIVE, AIMS AT THE CREATION OF UNIQUE ITEMS, ENTIRELY HAND MADE. FROM DESIGN TO THE SELECTION OF HIDES, EVERY OUR FUR EXPRESSES AN IDEA OF EXCELLENCE AND STYLE. THE SILHOUETTE IS DISTINCT AND DISCREET AT THE SAME TIME. THE NUANCES OF LEATHERS FOLLOW UP WITH INTERNATIONAL TRENDS BUT AT THE SAME TIME THEY PROPOSE ENRICHED DEVELOPMENTS. 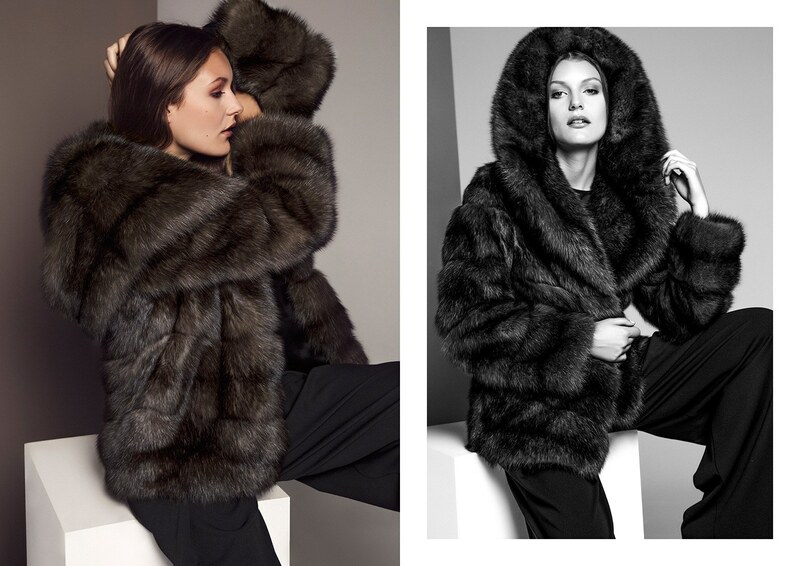 OUR FUR, AN ELEMENT OF MODERN STYLE, IS ENRICHED WITH A BOUDNLESS WISDOM. Live with us an intriguing shopping experience.